SCI welcomes the addition of Paul Greene, Esq. to its Advisory Board. 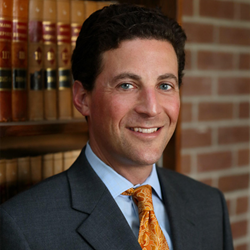 The founder of Global Sports Advocates, Greene is one of the country’s leading sports lawyers. SCI can have a great impact in advising universities in how to properly comply with the legal requirements of Title IX to best protect the rights of student-athletes and educate those involved to handle delicate situations in the proper way. SCI welcomes the addition of Paul Greene, Esq. to its Advisory Board. The founder of Global Sports Advocates, Greene is one of the country’s leading sports lawyers and is uniquely positioned to advise SCI’s strategic direction. He has worked on sports law issues around the world and is on the list of lawyers for the International Court of Arbitration for Sport, the Sports Dispute Resolution Centre of Canada, and the United States Olympic Committee. At Global Sports Advocates, Greene is devoted to the protection of athletes' rights and provides trusted advice on sports regulation, policy, and crisis management. He specializes in representing clients in sports arbitration and litigation including anti-doping, intellectual property, contract, salary, sports injury, sports products liability and mislabeled supplement cases. Greene has been around the sports industry for many years as an athlete, sportscaster, and now sports lawyer. Greene will bring a special focus on Title IX issues to SCI’s umbrella of expertise and services.